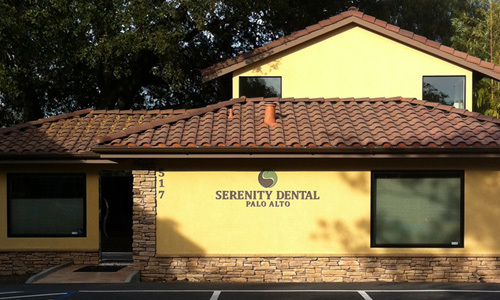 Here at Serenity Dental Palo Alto, Dr. Heidari and the staff take the time to individualize your dental treatment to ensure the most effective care of your teeth, mouth, and gums. Our first priority is to listen and understand your needs and desires with regard to your smile and overall oral health. We educate you about various dental treatment options to help you make the best choices. We use the latest in dentistry techniques which includes advanced imaging and computerized treatment planning techniques to make us a partner in your dental care. We know how important it is for patients to feel comfortable when choosing a dentist and a dental team. That is why Dr. Heidari and the Serenity Dental Palo Alto staff take great care to make sure you receive the personal attention you deserve. Our consultations provide you the opportunity to meet our staff, see the dentist office in Palo Alto, and discuss your individual dentistry needs and desires for a healthy, beautiful smile. Dental health begins with healthy gums. We customize treatment to ensure your specific periodontal (gums and bone) needs are met. Our highly trained dental hygienists provide the best treatment while making sure you are comfortable. Non-surgical periodontal treatment scaling and planing are handled here in the Palo Alto office. 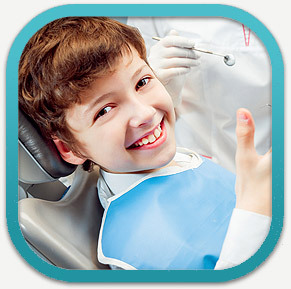 Your comfort is of the utmost importance and we take special care to make your dental experience a pleasant one. Nitrous oxide is available and you have a choice of listening to music or watching a movie while your teeth are being restored. Serenity Dental Palo Alto is also a provider of both Oral Sedation and IV Intravenous Sedation for those of you who fear the dentist or have dental anxiety. A thorough diagnosis and treatment plan will ensure success. We use x-rays, visual examination, digital cameras, models, comprehensive periodontal exams, cancer screenings, and esthetic evaluations to develop the proper diagnosis and treatment plans. Our dentists here in Palo Alto strive to educate you and make you an active participant in your dental health. The latest dental materials and techniques allow for beautiful, long-lasting fillings. Here in Palo Alto we use composite and porcelain to restore teeth to their natural color and strength. Teeth that have been fractured or chipped are susceptible to further damage. Porcelain dental crowns are used to restore both front and back teeth that have been broken or are at high risk of doing so. Here at our Palo Alto dentist office we use the latest materials to restore teeth to their natural strength, look, and feel. If a root canal is needed before a crown is installed we can do that too. A bridge replaces one or more missing teeth. Teeth on both sides of a space are used to anchor the bridge in order to restore function and esthetics. Our Palo Alto dentist office uses only the best dental labs to produce beautiful, natural restorations. If you are missing one or more teeth, you may be a candidate for dental implants. Dental implants work by mimicking the structure of natural teeth and like natural teeth, dental implants are secured in the jawbone. Successful dental implants become firmly embedded in the jaw, providing a chewing surface like that of natural teeth. Implants can replace one tooth or multiple teeth depending on the circumstance. Please ask our dentists here in Palo Alto about this exciting procedure. For more information about Dr. Heidari’s services or to schedule a visit, please visit our San Jose Dentistry Services page or call our office at 408.999.0444. Please visit our Aptos Dentistry Services page or call our office at 831.688.6531 if you have any questions you need answered.